PROS: Metal faceplate clips with W40/W60/W80, free Bluetooth cable with all models, updated tuning and silver-plated cable with W40/W60, price for all models remains the same. CONS: entry level W10/W20 still have plastic faceplate clips, only W80 has BT v2 cable. 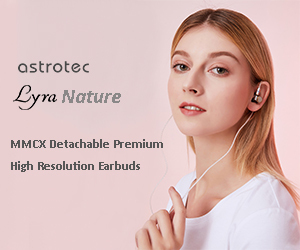 Manufacturer website: Westone. 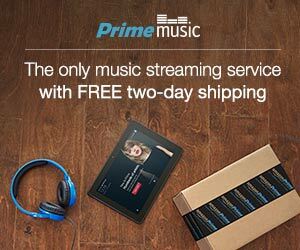 Available for sale from Westone and on Amazon. 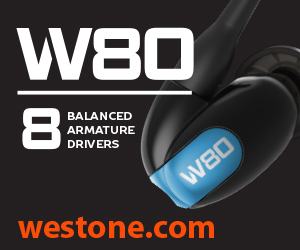 A year later after v2 update of their UM Pro series, Westone decided to turn their attention to W-series, releasing v2 of their W10, W20, W40, W60, and W80 models. Some might wonder what happened to W30 and W50? Actually, W50 was MIA for quite some time, ever since being labeled as the “basshead” black sheep of Westone family. 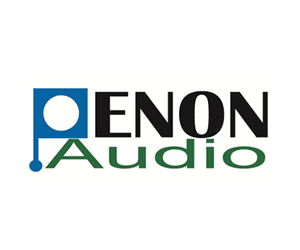 Apparently, there is quite a demand for basshead tuned audiophile quality IEMs, and the decision was made to release updated W30 and W50 as B30 and B50, where “B” stands for bass enhanced version. With the rest of the new v2 models, regardless of entry or flagship level, all will feature Westone own Bluetooth cable, included as part of standard accessories. W80 flagship even stepped it up to the latest v2 release of this cable. Another big change is addition of metal faceplate clips on W40, W60, and W80, while entry level W10 and W20 still have plastic ones. And while W10, W20, and W80 tuning remained the same, to my big surprise W40 and W60 were retuned and upgraded with a new Silver-plated cable. Regardless of these new additions, the price of new W-series models remained the same as original ones. In this write up I wanted to combine all v2 W-series under one review umbrella with a focus on the changes, individual sound analysis, and comparison between v1 and v2. Since I don’t have the original W10 and W20, in that comparison I used v2 of UM Pro 10 and Pro 20 since I had those requests back when I was reviewing new UM Pro series. I will also cover v2 of Westone latest BT cable as a separate mini-review. Also, for the reference, W10-1 refers to v1 and W10-2 refers to v2. Now, let’s take a closer look. In this section of the review I want to cover common changes which are applicable to new W-series models. And will mention carry overs from the original series. Before anybody asks why even bother with Packaging/Unboxing, I find it to be a big deal in v2 of W-series because in all of my previous reviews I always complained how the packaging and accessories of Westone IEMs look the same between entry and flagship level models. The original boxes were small and gray inside of a gray sleeve where only the orange W stood out with some color to get your attention. New packaging has vibrant colors with pictures W-series models popping out from the white background, colorful faceplates, and EQ bars corresponding to a number of drivers of each featured model. And while W80 packaging design remained the same, color of the box was changed to match others. I will go into more details of each individual model and their included accessories later but wanted to mention here that you no longer have to worry about small orange “vault” cases where you had to be careful not to pinch the cable when closing it. Now you have a small travel case for W10 and W20, medium one for W40 and W60, and small and large ones for W80 flagship. I can imagine that some people don’t bother displaying audio gear packaging on their desk or shelves, but these are good enough for a display. I will go over individual sound description and comparison in corresponding sections under each model, but in a summary: W10, W20, and W80 remained the same, while W40 and W60 were updated. As a spoiler, I found the sound update of W40 and W60 to be quite noticeable and more refined. 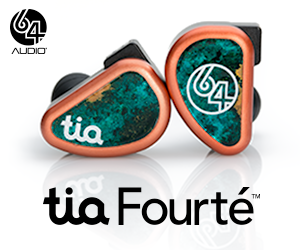 Tips remained the same; there is no reason to change anything when you have such a comprehensive selection of custom eartips included with all of their universal IEMs. With their roots in Professional Hearing earpiece design, Westone put years of their research experience into design of these patented Star and True-Fit tips. Included were 5 pairs of Star silicone tips and 5 pairs of True-Fit memory foam eartips with a medium recovery property, not too soft or too springy. All eartips have color-coded inner core. Earwax remover tool was included as well, very useful to clear those narrow bores. As already mentioned, v2 W40 and W60 come with a new Silver-plated copper (SPC) cable instead of the traditional Epic cable. This cable is very supple, non-microphonic, not springy, and without memory effect. L/R wire sides are kept separately, not even twisted, all the way down to headphone plug. There is a clear y-split and chin-slider which don’t distract from the look of the transparent jacket. You will also find a right angled semi-transparent headphone plug with a comfortable grip, and semi-transparent IEM connectors with a clear Blue/Red marking to indicate L/R sides without a need to look for dots like in Epic cable. 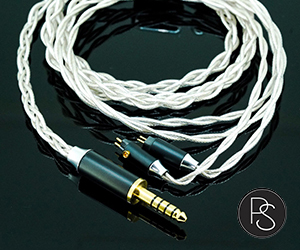 The earhook part of the cable is flexible and pre-shaped, no wires. In corresponding W40 and W60 sections of the review I will go over how this SPC cable compares to Epic cable. When you browse through W-series threads on Head-fi, you are not going to find too many complaints, except for plastic faceplates. There were some issues in early production batches years ago when original W-series was introduced. That got corrected later, but still you find people mentioning about the faceplate crack around the tightening screw (which could also be a contributing factor if turned too tight). There was even some aftermarket manufacturer who started to make their own metal faceplates. Glad Westone took a note of it as well, and the new v2 W40, W60, and W80 are all feature the same size metal j-clip faceplates. Of course, each model will have its corresponding label, but their size/shape are the same. W40 and W60 come with 2 different color pairs, and W80 comes with 3 different color pairs. And, since the size/shape is the same as the plastic one used in the original W80, current owners of W80 probably should wait until Westone makes them available to buy separately. v2 W10 and W20 have plastic c-clip multi-color faceplates, the same size/shape as the original W-series. But I heard a rumor that Westone might release metal c-clips for those as well. So, let’s keep our fingers crossed. Page 2 – Westone BT v2 cable. Page 3 – W10, W20, and W40. Page 4 – W60, W80, and Conclusion.